Have you ever had a dress or outfit you're dying to wear but you're just waiting for a suitable occasion to wear it? Well, this is that dress for me at the moment. I wore it once and really want to wear it again. It's not your typical going out dress. It's quite dressy and I'm not sure if this picture does it justice. It goes just to the knee and kicks out. It was sitting in the back of my wardrobe and I saw it today and thought it deserved to have its moment, even if it's not on me. I feel a little like cinderella waiting to go to a ball. 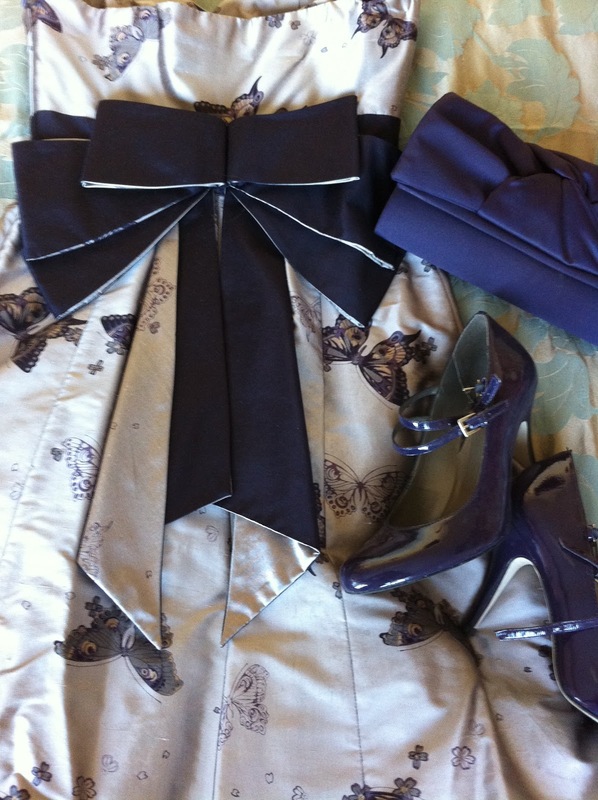 Dress (Karen Millen), Shoes (Bertie), Clutch (Warehouse). Just while I'm appreciating butterfly prints, I thought I'd share these pictures with you of a display that caught my attention at Pure in London last summer. Butterflies can look so delicate and feminine. They were just so eye catching and pretty, I felt compelled to take out the camera. The dress is so pretty! I would want to make reasons to wear it too. I really find good ideas every time i come. Gorgeous dress! I'd be dying to wear it! Love the butterflies and the paper lanterns = so pretty!!! this dress with the huge bow is amazing! Love the idea of putting the butterflys on the light globes! Would love to hear what you think of my latest post today! I LOVE the butterflies on the balls like that..it's sooo whimsy and beautiful and makes me want Spring to come even sooner! LOVE that dress. The bow on it really makes it special. Very pretty dress!! And those pis are amazing!!! Hahaha I know what you mean, that happens with me and most of the dresses in my wardrobe. I wear them once on a proper event and ages passes until I wear them again. Adorable, I love bows and those butterfly lights are so beautiful! 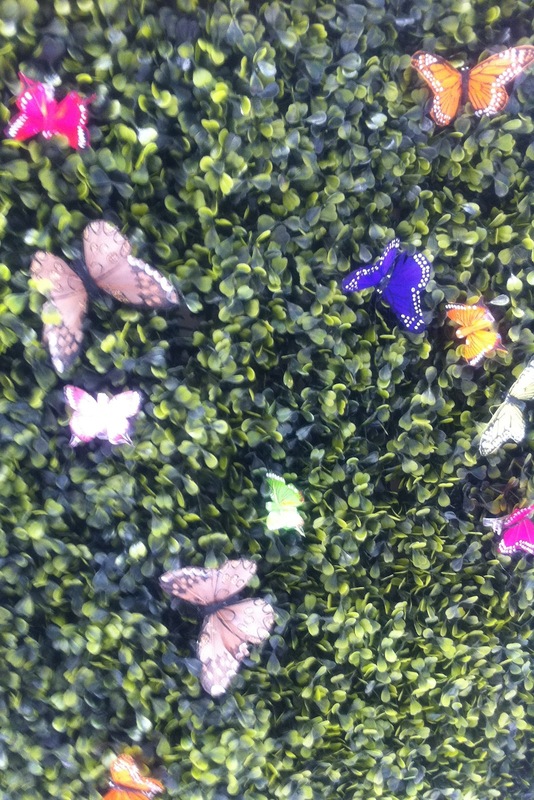 Oh my I'm loving these butterflies...really feels like Spring is among us! Lovely blog, def follwoing!